Is Breen Too Focused on Disciplemaking? If you have been following this series, then you know that Mike Breen stresses disciplemaking. Before you complain that he only talks about discipleship, you need to remember two things. First, this book is about discipleship. But, second, Breen believes the problems with today’s churches arise from our poor, and often non-existant, disciplemaking. Since Breen considers disciplemaking important, he does not merely want ministers to implement a program to make disciples in their churches. He wants to make sure that churches and ministers are informed and equipped so that they can be experts at discipleship. “What we want to do is help you learn the craft of discipleship and encourage you to put in the hours and perseverance necessary to become great at it….If there’s anything any of us should become great at, it’s making disciples who can make disciples.” (Kindle Locations 533-540). I suspect that one of the reasons that Breen has been successful in coaching ministers and churches is his emphasis on becoming experts at discipleship. Church leaders often believe that good intentions are more importance than striving for excellence. Though we have God’s grace for our ministry failures, this doesn’t exempt us from doing our best. Given the importance of disciplemaking, we should strive for excellence in it. But many church leaders are happy if they can point to programs that are intended to make disciples. It doesn’t matter if they are effective at doing so. You would probably be surprised at how many ministeries and programs are considered successful simply because they exist. 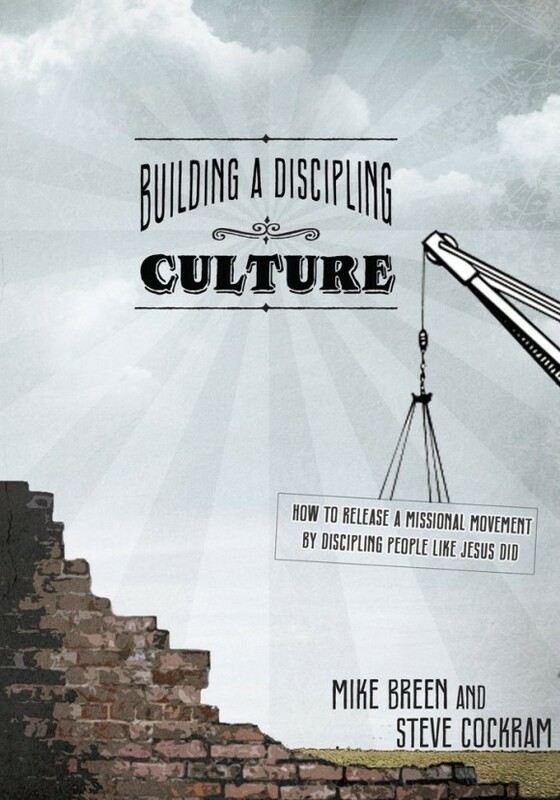 Breen says an essential element of disciplemaking is forming a culture of disciplemaking. He says:. 3) A discipling language (our discipling language is called LifeShapes).” (Kindle Locations 533-540). “A huddle is the group of four to ten people you feel God has called you to specifically invest in, and you will meet with them regularly (at least every other week) to intentionally disciple them in a group setting” (Kindle Locations 546-548). Second, if you are going to make disciples, your life needs to be open and accessible to those you are discipling. You have to be available to spend time with them and help them during crises; you also have to model the Christian life for them by letting them see how you live. The regular meetings of a huddle is the organized component. The organic component is giving the people access to your life. And when you disciple people you have to make a strong effort to rearrange your life and schedule to give them access. “Giving people access to our lives doesn’t necessarily mean we constantly schedule additional time for coffee or drop everything for them at a moment’s notice (though depending on the situation, it could mean that). If someone is struggling spiritually, invite him or her to go to the grocery store with you and talk with you on the drive there and at the store as you shop. Fold the person into your normal comings and goings. It doesn’t have to mean more work; it means we are more efficient and smart in how we use our time” (Kindle Locations 578-582). It is easy to see why Breen thinks we need those first two elements. But it is more difficult to see why he thinks the third element is important. When I first read this book, I did not find a shared discipling language to be important. But Breen stresses the importantce of having a shared “discipling language” to help create a culture of discipling. He does not discuss it much in this chapter. In the next chapter, he argues for its importance. At this point, let me just appeal to my own limited experience. I recently discipled a groups of guys for about four months. I introduced some of the the discipling language that Breen suggests. (Specifically, I used three of his LifeShapes.) I was skeptical at first, as were the guys I discipled. But we persevered and began to love the discipling lanuguage. We found the LifeShapes useful. They gave us a language to talk about aspects of following Jesus. And they were useful in reflecting on ways we could become more like Jesus. If you are like me, you’re probably skeptical about this. And maybe Breen’s discipling language will not work for you. You’ll likely find, I think, that they are helpful. Regardless, you need to find your own way to talk about the Christian life and discipleship. You’ll need that as you not only make disciples, but as you train your disciples to make their own disciples. This gives them a portable way to talk about being disciples of Jesus that they can use when they disciple others. 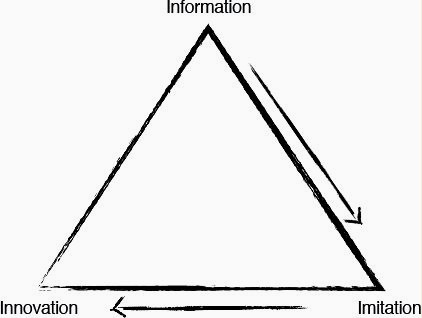 When you have a discipleship vehicle, give people access to your life, and use a portable discipling language, you will incorporate the three forms of learning (Information, Imitation, and Innovation) into your disciplemaking. Your disciplemaking will become more effective. In the next chapter, Breen begins a new section of the book. He defends his assertion that an agreed upon discipleship language is essential to a discipling culture and disciplemaking. After that chapter, he spends the remainder of the book describing his discipling language, the LifeShapes.